Studying Automotive Mechanic is for those who have a passion for working in the Automotive Industry and don’t mind getting their hands dirty under the bonnet of a car. The Certificate III in Light Vehicle Mechanical Technology prepares students to perform a wide range of tasks in the light automotive industry. The Cert IV in Mechanical Diagnosis furthers these skills and provides students with in depth knowledge of the mechanics. Throughout your studies you will learn most aspects of motor mechanics including how to diagnose complex faults in light vehicle petrol engines, electronic spark ignition engine management systems and braking systems. General Motor Mechanic (321211) – Is currently on the Skilled Occupations List. The skills assessment for Mechanics are delivered through Trade Recognition Australia (TRA). The current education qualification requirement to obtain a positive skills assessment is Cert III in Light Vehicle Mechanical Technology or Certificate III In Automotive Heavy Mechanical Technology. If you undertake this course and participate in the job ready program you may even be able to do this without being sponsored by an employer and you may not need to live in a regional area. Below are some simple steps that may allow you to go down this pathway. Diagnose and repair heavy vehicle systems. Service brakes, cooling system, fuel system. Test and repair basic electrical systems. Use and maintain workplace tools and equipment. Motor mechanics have a very high proportion of full-time jobs (94 per cent). The average hours worked by a motor mechanic in Australia are 41 hours per week. Louis from India is studying the Cert III in Light Vehicle Mechanic, Cert IV in Automotive Technology and the Diploma of Management at Imagine Education on The Gold Coast. If you’re interested in reading about Louis’s experience then follow the link below. The current education qualification requirement to obtain a positive skills assessment is Cert III in Light Vehicle Mechanical Technology or Certificate III In Automotive Heavy Mechanical Technology. If you undertake this course and participate in the job ready program you may even be able to do this without being sponsored by an employer and you may not need to live in a regional area. By studying for 2 years and undertaking 360 hours of vocational placement during your studies (most education providers will arrange this for you), you may be eligible to apply for and receive the temporary graduate visa. The graduate visa is a work visa that allows the visa holder to live and work in Australia for up to 18 months. For more information on the graduate visa click here. The benefits of the JRP is that on completion you will be provided with a positive skills assessment for general migration purposes. On this program you must work for at least 12 months as a qualified an Automotive Mechanic. Your employer will not need to sponsor your visa, as you will already be on the graduate visa. This will mean that you have a lot higher chance of finding employment as it is very easy for the employer to hire you. You may find this video on the Job Ready Program helpful. Once you have completed the Job Ready Program as a Mechanic you will receive a positive skills assessment. Once you have the positive skills assessment you will be able to apply for general skilled migration visas. 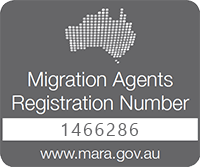 If eligible, the general skilled migration visas do not require you to have an employer that is willing to sponsor your visa. Please note that you will still be required to pass the points test and health checks to apply for this visa. I hope that through this process, i can study in Australia. We hope you can too Donatus. What city would you like to study in? There are some options out there for automotive starting as low as $12,000 AUD. Sorry, I don’t really know what you mean? i want to study general automotive,i prefer to be in newcastle…any suggestion like which college? if possible also i would like to know what the cost? and do i have to do the IELTS test?? The cost is generally around $8000 – $12000 per year. You will need to have IELTS 5.5. We will email you through some course options. Hi Sir,I am Intrested in pursuing Motor Mechanic course but,the thing is that I am a graduate of Electronics and Communication Engg(2016) passed out.So am I apt to pursue Motor Mechanic Course in Australia. your comments please….. Yes there is potential for you to do the motor mechanic course. Hello, I would be interested to do the certificate III in Light vehicle mechanical technology ! I would like to do it in Perth, but it appears it’s not available for international student on Perth University’s website ! Could you give me more intels about please. There is a few options for you in Perth I believe. I will email you through some options. So the first step is to find a school that will accept your enrollment. We will send you through a few options. Give us an email on [email protected] and we will get things moving. Hi, I am from singapore. I recently obtained a private diploma in law. However I would like to apply for the.Certificate III in Light Vehicle Mechanical Technology & Cert IV in Mechanical Diagnosis course. I do understand that IELTS will be required and I do plan to take them soon, I am just wondering if I am eligible for the course and if it would be a good pathway to living and working in Australia. Thanks very much. You may be eligible for the student visa. We would just need to ensure that you meet the genuine temporary entrant requirement. Do you know what city you would like to study in? In terms of automotive, do you know which course you were looking at studying? And what city would you like to be based in? It may be possible, it can depend on your visa and if you have conditions. I shall send an email through to you, if you can reply to that then we can look at your possible options. I’m from Italy and I’d like to study as automotive mechanic in Perth, what are the prices? Hi, I’m Sunday from Nigeria I have got B.eng mechanical and certificates in diesel fuel injector from bosch south africa,I will like to study VET on automotive engineering. im curious about the program offered in queensland which is cert 3 in light vehicle mechanic and 2 years duration and also in melbourne offering certi 3 light vehicle 52 weeks and cert 4 auto mech diagnostic 17 weeks. in terms of tuition fee its almost the same but their training duration is far different from each other. as of now im still undecided where to go? what will i consider sir to get the best choice? Thank You. After the completion of mechanical course certificate 3. We have to do 360 hours of vocational training. Will it be paid? And what are the current job forecasts like how much do you get paid in this field. Also if i get a job on graduate visa what are the chances of getting pr? Thanks for getting in touch with the PTA Team. In order to be eligible for the 485 Graduate Visa, you will need to undertake 360 hours of paid vocational placement whilst undertaking the trade program. There are a few exceptions to this, for example, if vocational placement is a part of the course criteria. Can i ask how many days is the class per week.. It varies depending on the course provider, most of the trade courses are 2 – 3 days per week. Im currently looking for a school where i can study automotive mechanic,although i finish my degree on business management and certificate on welder on my country..i dont know what school should i enroll into,can you recommend some school here on Brisbane or Gold coast and the prices as well pleased because at the moment im a visitor visa and living with my brother here at brisbane. Hi, I am from India and passed High School. Currently giving final exams of 2nd Year of Bachelor of Business Administration. Is it possible for me to do Automotive Mechanic course leading to migration in Australia for better living. I am already in Australia from April 2017.
i am doing bachelor of engg technology. is it possible to get a automotive course (job ready program)? but now I need to do skill assessment of 360 hours. my question is, do I need to do these 360 hours on pay? should these 360 hours be paid ? or not? are these 360 hours just a training or paid ? hi im intrested to stydy in cert 3 in light vehicle mechanic and i dont have any experiance in mechanic field.at present i have recently completed my Bachelor’s degree in Accounting and about to apply for my 485 visa. Is there any 1 year course available for international student ? Please tell me which one best city to join Automotive mechanic course and how it is cost to me per year . We have replied to your directly via e-mail but yes, you are allowed to apply for the automotive course with an IELTS 6 score. I am currently pursuing my masters of matketing from one of the universities in melbourne. My question is that is it compulsory to do 2 year course? Or 1 year is efficient for automative cert 3? not quite sure what you meant. Our team have contacted you directly. And classes are how many days a week . how much hour i am allowed to work per week. Hello Amar and thank you for contacting us. I Have a BSCS(Computer Scienece) 4 year degree. But I havent interest in my field. Can I get in some Certificate III or IV course. kindly help me. I have plan to change career, so I’m considering studying mechanic course. I believe this will help me establish myself and be my own boss in the future. Could you suggest for me a reputable institution where i can get this done? I am looking out for this course in Melbourne, please suggest the campus and detail requirement for this program. I have completed diploma in mechanical engineering from india. Can i get visa in automotive course? I have done bsc mechanical engineering and im on TR in australia. Can i get student visa after TR by choosing a course from TRA. I am from India and looking for Certificate 3 automotive mechanic course in Sydney. Can you suggest me for the college or university and provide other respective details for admission. I am looking for the option in sydney for above mechanic certificates. Currently I am enrolled in bachelors of Management and finance. Kindly assist. i like to study this course .After finishing can i apply for 485 visa? Can i have more detail about Automotive Mechanic course fee please? What if i have motor mechanic certification and more than 2 years of experiences? I’m looking for Automotive Mechanic programs that lasts in 2 years and have 360 hours vocational placements for the Graduate visa. I was also wondering how the one get PR after Graduate visa having studied Automotive Mechanic. It would be great if you can inform me about current job forecasts and salaries for Automotive Mechanic. By the way, are they specialising in some skills like welding, body repair or Engine through their Automotive Mechanic studies or is it a general course? And how many days a week would I be attending class? Also the closing registration date for July 2019 classes. We have contacted you directly with details of this program. Going forward, feel free to watsapp message Sara directly, +61481812092. I am from India, i have completed my bachelor’s in mechanical engineering. Which course and is better to pursue Master’s. I am totally interested in automotive. I want to know the complete course details.